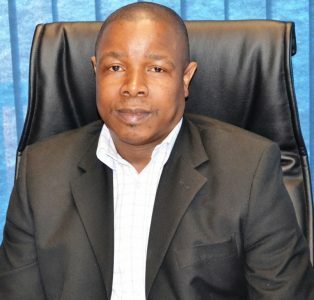 The Senior Director: Teaching and Learning Development Centre (TLDC), Dr Manyane Makua, has been appointed to the Higher Education Quality Committee (HEQC). The HEQC is an important sub-committee of the Council on Higher Education (CHE) tasked with key regulatory responsibilities for the higher education sector in South Africa. Announcing the appointment, HEQC Chair, Prof Themba Mosia said Dr Makua would make a valuable contribution to the work of the HEQC given his experience. “Your contribution will be critical to the institutionalisation of quality assurance within the higher education system,” said Prof Mosia. Dr Makua said the appointment was “a feather in the cap for me and MUT as it represents an opportunity to have a presence in a very influential and key national regulatory structure in the higher education system. Being a committee member of the HEQC is no small feat as criteria for appointment are often very robust and demanding.” Dr Makua said he viewed the appointment as a tacit acknowledgement of his expertise and a clear vote of confidence in what they do at MUT. “We can all be collectively proud of this appointment,” he said. Dr Makua added that on a personal level, he felt that he had come of age in the sector and that his academic peers acknowledged his professional readiness to serve the education sector in this august capacity. Dr Makua will be working with a team of competent professionals from across the sector to serve South Africa with dedication. “MUT can only benefit from this exposure as I will plough back any knowledge, experience and expertise gained through this membership,” he said. Dr Makua was nominated by DVC: Teaching and Learning, Prof Marcus Ramogale, who also impressed upon him to avail himself for the appointment.